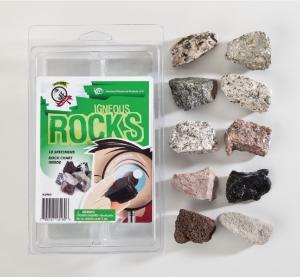 The Explore with Me Geology™ series kits are the perfect starter sets for budding geologists. Each collection of ten specimens is enclosed in a handy, plastic storage container. A rock identification chart with images and descriptions helps students better understand each specimen. Appropriate for grades 3 through 12.